I blinked. Before I had a chance to open both eyes, the holidays were over, I was back at work, and I didn’t spend nearly as much time as I wanted to on my favorite hobby-business. In my last update, I introduced the Pinventions Senior Design Team working on a fog system for my “Night of the Living Dead” custom pinball project. That was in late November. 1. The Roger Williams University Engineering School Senior Design Team delivered a summary of their work in a semester-ending presentation to faculty, students, and others. 2. I can only assume they all got A’s as a result of their awesome progress (and because they all looked sharp in their suits). Photo below. 3. Linda, Amanda, Jon and I had a nice long drive to PA to visit and celebrate a total of 3 Christmas’ with our families. Eve made alternate arrangements. 4. Amanda graduated from college a semester early. This was good. 6. In pinball related news, I recently partnered with a talented comic book artist, Chad Cicconi, to help design a playfield for my Night of the Living Dead pinball machine project. Chad happens to be from my hometown- Brownsville, PA, and does some lawyering on the side (much like I do some engineering on the side- meaning that those are our real jobs). 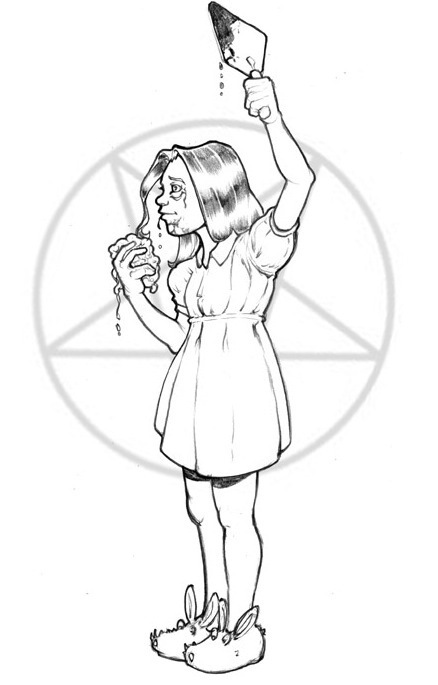 I’d like to dedicate the rest of this blog to highlighting some of the comic book work Chad has done, and sharing some of the concept art he has created for my pinball project. 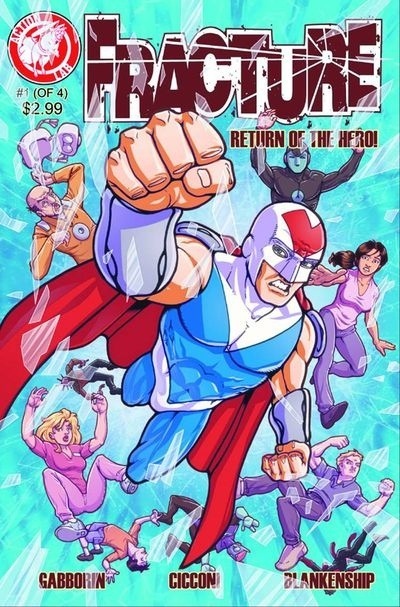 Chad draws (among other things) the FRACTURE series of comics for Action Lab Entertainment, and a recent issue has been receiving some favorable press. Review.Traditional (nostalgic) pinball art has many similarities to comic book style art, and I am not especially talented in that genre. I saw some of Chad’s work online, liked his style, and realized that he could help me with certain parts of my overall design. He has some great ideas, and I am excited to see how his work, my work, and the Senior Design Team’s work will all come together in the next few months. There are a few surprises in store, but here is a sampling of what Chad is working on for me. Stay tuned, this should be fun. P.S. I am overstocked with “donor” pinball machines (and running out of room since both Jon and Amanda are back living at home temporarily). I have 12 or 13 machines now (I honestly lost count), and would be willing to sell a few “as-is” (non-customized) for $500 to $800 just to clear up some space. If you are interested, let me know- I’ll get a machine cleaned up and working for you. Hello world! I made it home alive from my excursion to exotic York, PA last weekend where I attended a pinball convention (of sorts) for the third straight year. If that sounds super exciting to you, then wait, there’s more! I am also pleased to report that I was privileged to stay in what I judge to be the worst hotel in the world. I’m not sure why you all speak that way, but that’s what I heard. Let me list a few examples that help to illustrate my point. Let’s begin at check-in…. 1. I was greeted and checked in by a woman (I assume) that (I assume) was the owner, who-during the entire time (s)he was checking me in- was wheezing uncontrollably and continuously. I almost called an ambulance for this person, but (s)he didn’t seem to be bothered by this nearly as much as I was. Also, I didn’t call for help because I was so distracted by the large flap of skin in her (?) left nostril that fluttered in rhythm to the wheezing. This had an oddly hypnotic affect on me. 2. The hookers relaxing in the lobby, as well as (evidently) in the room next to mine were, well…let me put it this way- have any of you seen “Breaking Bad”? And how did I know they were in the room next to me? Let’s just say that I could hear them doing their “breathing exercises”. Enough said. 3. In my experience, most no star hotels at least have chain locks on the doors so that you can barricade yourself in the room, offering at least a small measure of resistance to any criminal encroachment, FBI raids, or zombie hordes. The Econo Lodge in York, PA does not offer such a thing. The chain lock in my particular room had been ripped from the wall several decades earlier. 4. The hotel room was curiously large and spacious- which may seem like a good thing. It was perhaps 12 feet wide and maybe 25 feet long- in fact I counted as many as 7 (maybe 8?) carpet remnant patches used to cover the massive floor. The variety in the carpeting color and texture were much like the rings in a tree, offers clues and glimpses into the colorful history of the room. For example, the patterns of stains in several of the pieces suggest periods of time when civilization may have first used fire, or the inhabitants evolved to using utensils like crack pipes. Other sections of carpeting hint of massacre or perhaps human sacrifice. Fascinating. 5. An interesting feature of my particular room was that all electrical outlets (except one!) had been eliminated. Smoky colored plastic plates covered areas of the walls where (I assume) electrical outlets used to exist. I can appreciate how this may save management the expense of having hotel guests syphon off precious electricity from their power grid. I imagine they also save money from not having any place to plug in vacuum cleaners. The one lone outlet in the room was taken up by the microwave oven, which was perched on top of the trash can by the door, 20 feet from the bed. I must remark that the microwave seemed out of place in this room, like some strange “artifact from the future” accidentally deposited here by a careless time traveler. 6. The towels (both of them) were of an interesting gray color, crusty to the touch, yet still lacking the “nibs” that seem to be common on most towels. My best guess is that the nibs had worn off several years ago after repeated washings on stones in the local “stream” that ran in the back. 7. I’m glad I didn’t have a black light. 8. I could go on, but I’m guessing you can see a pattern here. At this point, a logical (and fair) question to ask is how I ended up at the Econo Lodge in York, PA, and why I stayed there after my first impressions of “Wheezy” and the girls. I admit that this is all my own fault- for when I am traveling on my own, I am admittedly very frugal, and in fact I make a game of seeing how little I can pay for a hotel room. In this case I used Priceline, and even “named my own price”- a price so low that I was surprised it was accepted. In hind site, I can understand why Wheezy would take any offer (s)he could get. I usually am OK with my Priceline results- I really don’t care that much since I tend to arrive very late, go to sleep immediately, get up, shower, and leave. No star hotels are OK with me as long as I believe the sheets and towels are clean- my basic rules include: never touch the comforter; wear socks at all times; wear long sleeves to bed; use plenty of hand sanitizer. But in this case, Priceline and the room won, and my rules were insufficient. It was that bad. The weekend was not all lost, however. I eventually made it out of the Hotel California, past the beast, and on to Pinball Nirvana at the York Fairgrounds. I spent the day with other game room aficionados, freely playing the dozens of old and new games and perusing the older junker machines for sale that I target for my restoration/customization projects. I have several projects in the works currently (one is in the photo above), and have a few donor machines in stock already, so I didn’t have to buy anything. I did end up buying a machine very similar to the one I converted into my Springsteen machine- Tenth Avenue Freeze Out-complete with the roulette wheel/turntable feature. My thinking is that if anyone out there wants a machine similar to that one, I now have a donor unit that can be used (along with the art designs I have already created) to create a very similar, but new, Springsteen themed machine at 1/2 to 2/3 the cost of the original. In the scheme of things, this could be a bargain for someone. So as I wrap this ramble up, I want to again mention the photo above- this shows the original play field of the machine that I will be using for my Night of the Living Dead project. 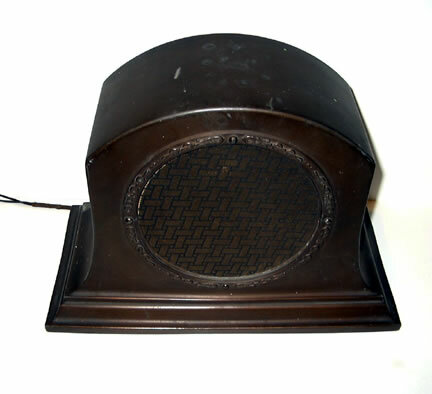 It has been stripped of all hardware and is ready to be stripped of the original design- down to the bare wood. In others words, I am preparing this as my next “canvas”, and am currently working on the art design on my iMac. As I ponder my adventures of the past week, and look for inspirations for this new design, my memories and thoughts converge into an idea that is growing on me- “Wheezy” and the girls as zombies. Unfortunately, this idea is very close to the reality. A Triumphant Return….and there are no losers. I enjoy writing these blog entries, and I want to keep my website fresh. I really do. I promise. But I have been extremely busy doing a few fun things, a few charitable things, and a few other things designed to build my business and network. I have also heard rumblings from the underworld concerning my promise to pay $50 for any pinball design ideas I use. I received about 30 design ideas through various means (including Facebook, emails, and notes in bottles) -although an objective in creating the contest was that I was kinda hoping to drive up the traffic to my website. But never mind- a few of the ideas have real promise, and if I ever pursue any of them- I sincerely promise to pay off the idea man or woman. To be honest, I am not working on any of them currently- so there are no winners yet- and there are no losers! I wish things could be different. It’s not me, it’s you. You deserve prizes from someone better than me. Can’t we just be friends? 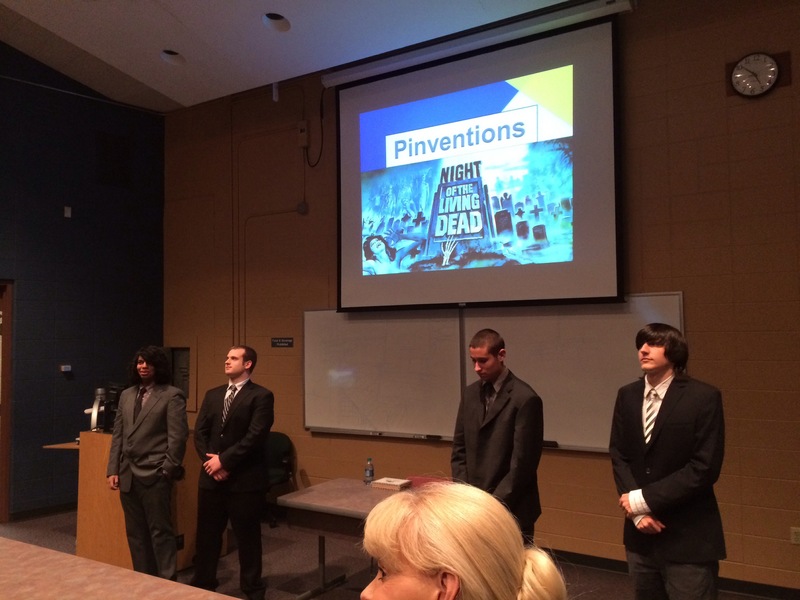 I am very excited that my endeavor “Pinventions” is sponsoring a senior design project at RWU. Some of you know that I serve on the professional advisory board for the university’s engineering school, and working with the faculty there we came up with the very cool idea of packaging a senior design project around one of my machine’s designs. The challenge? Create a fog-filled cemetery scene in the back glass of my “Night of the Living Dead” custom machine design. 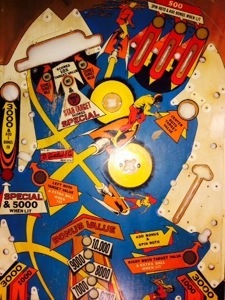 To do this the team needs to develop a self-contained, self-cleaning fog management system that can respond to various actions taking place in a pinball machine. I got my first taste of the Maker Faire in Providence a few weeks ago, and realized I am indeed a “Maker”- which is a difficult term to define. In general, a “Maker” makes, creates, hacks, mashes, etc. for his own enjoyment, or to challenge themselves to solve a problem that they may in fact create for the sole purpose of solving it. I create custom pinball machines (among other things). Anyway, I am hooked on this “Maker” movement, and knew I had to attend the New York City version to saturate my senses and curiosity. I was not disappointed. 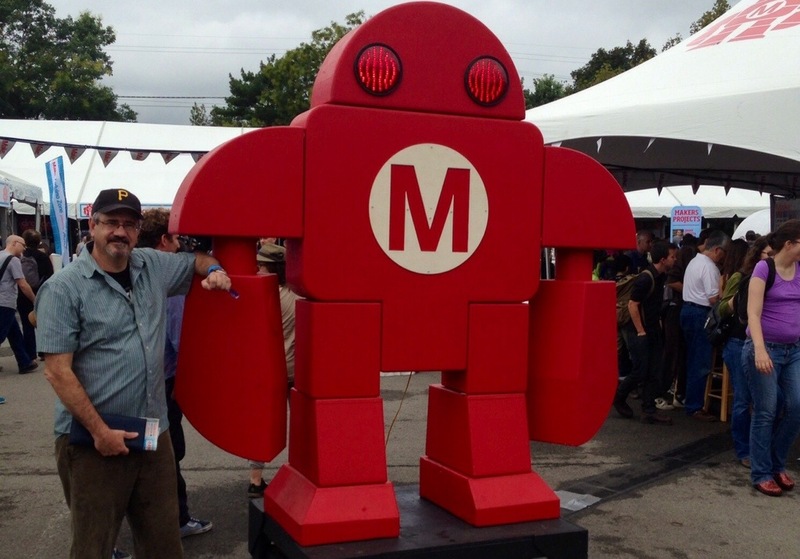 The photo above is of me by the icon of the movement- the Maker Robot. I also had a meeting with some “Make” representatives there who were more than a little interested in my pinball creations. Nothing for sure yet, but we continue to talk. …my beloved Pirates were minutes away from the World Series. It was the seventh game of the NL final. They were ahead in the bottom of the ninth with two outs. Then with a single swing of the bat it all changed. A weak single. A weak throw from Barry Bonds to the plate. A lumbering Sid Bream- who for years prior had been a fan favorite in Pittsburgh but then the traitor bolted to the hated Braves-scored the winning run in slow motion, and sent the shell-shocked Pirates home to a cold exile for 21 years. Pittsburgh baseball fans like myself have been in shock ever since, afraid to commit as fans, reluctant to ever come close to experiencing that heartbreak again. Amanda just turned 21 a few weeks ago, and the Pittsburgh Pirates have had a total of zero winning seasons since that terrible day. Seriously? I Guess $50 wasn’t Enough. So a week or so ago, I asked blog readers, potential customers, and Facebook friends to contribute their ideas for creating a new pinball game- as long as it was nostalgic and met a few other criteria- and I would offer $50 if I chose to used your idea in a future design. But I digress. This is not about me, this is about the collective “you”. You are letting me down. I received a handful of ideas- including several sent through email (rather than in the blog comments), but all in all I am underwhelmed by the lack of interest. The ideas that I did get do have promise- so “thank you Bob”- and if any of them become a reality, I will be forwarding a royalty check to the idea man or woman. 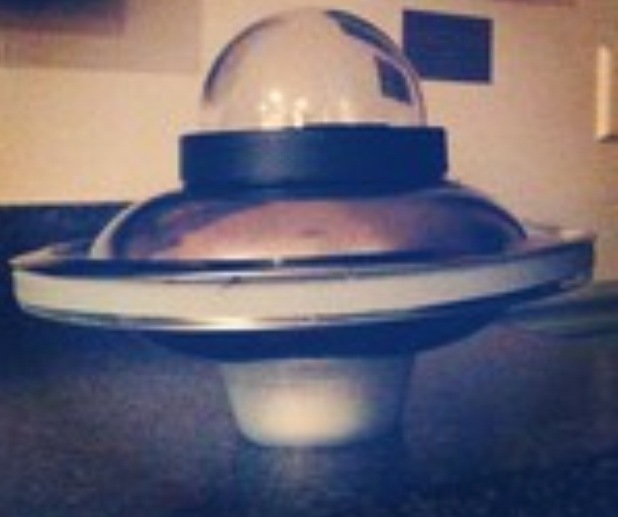 But “Alien Abduction” is what I’m going with for now. The offer still stands- $50 for any ideas that I end up using in a design- or 50% of one of my “donor machines” if you want one for a commissioned project. 1. My “Night of the Living Dead” back glass design– the one with a backlit fog effect- has been accepted as a Senior Design Project for the Roger Williams University Engineering Department. This is very exciting since I like mentoring the engineering students, and since hopefully they can help me come up with a good way to manage fog production in an enclosed glass case. 2. Jacquizz Rodgers is not panning out as the Fantasy Football League stud that I thought he would. He had one catch for -1 yards, and no yards rushing. This resulted in a grand total of 1 fantasy point. 3. There no longer seems to be a market for the Cumberland Farms/David Hasselhoff iced coffee ad cardboard cutouts. I have one in my possession. Don’t ask how or why. 4. I refuse to believe that summer is over. Do not try to convince me otherwise. 5. My baby girl Amanda is turning 21 next week. I refuse to believe this either. Do not try to convince me otherwise. And finally, spend 30 seconds thinking of a good ( or even a bad) idea for a game theme and list them in the comments. $50 is real money. Believe it! The wording and image above are not mine. 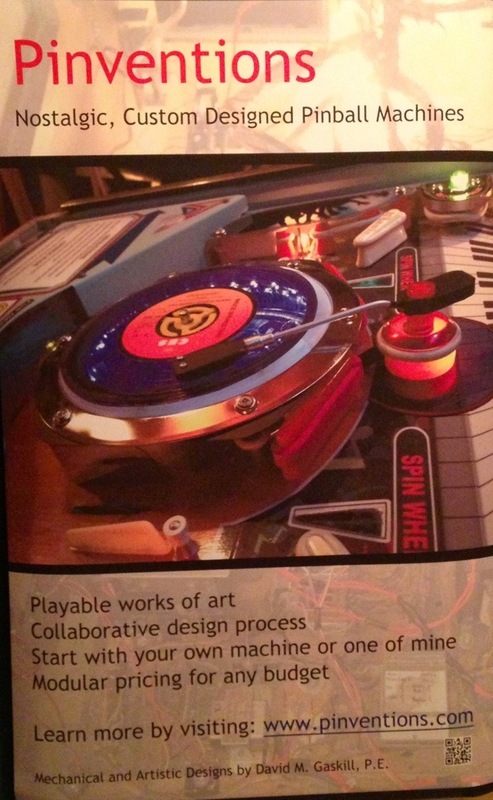 This is a screenshot from a Make Magazine article covering the 2013 Maker Faire in Providence, RI. In this article, the “pleasant bing-bing sounds” of my machine were used to set the ambience of the piece, as the author described some truly amazing displays and creations put on by my fellow “makers” at the show last Saturday. There were scores of very cool 3D printers, electronics gizmos, and gadgets galore. Fellow weirdos, as promised, and a feast for the eyes and brains at every turn. The article went on to describe many of the displays, and included many pictures, including one where a face-painted teen takes on my Tenth Avenue Freeze-Out pinball game. 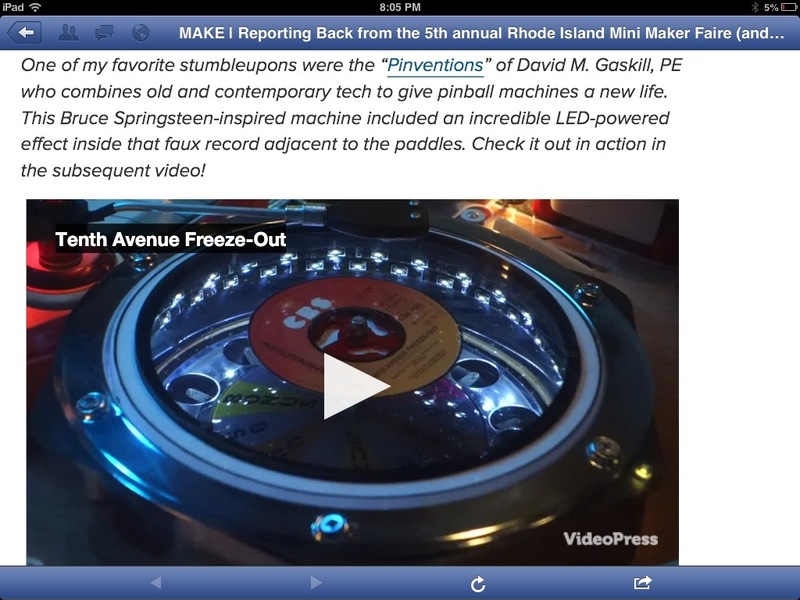 After that photo, that included me creepily in the background, came the wording as reproduced above-the author’s favorite “stumble upon” at the Faire- followed by the only video in the entire article- of a simple LED effect under the faux turntable in my creation. With all the cutting edge technology in play here, with all the robotics, 3D scans, prints, and Arduino infested creations- the author was most affected by essentially a parlor trick that would have been possible decades ago. Such is “art” when combined with science. Such is the old- if treated correctly- that can be made to seem new again. Thank you to Nick for the kind words. My web traffic has increased exponentially since this article. However, 1 to the second power is still 1. 1. First, “Erika and Bear”- coauthors of the I (heart) Rhody magazine/blog- interviewed me about my custom pinball/art business after visiting my booth at the Faire. This interview focused on the artistic merit of my creations, and I was happy to oblige. 2. Secondly, after submitting photos and descriptions of my work to the www.pinballowners.com website- the premiere site for pinball enthusiasts world-wide, I was accepted as a “manufacturer” and my works are now included in the database, galleries and descriptions. 3. Finally, I have submitted my idea for a controlled-fog back glass unit to the Roger Williams University Engineering school for consideration as a Senior Design Project. Dr. Riley and the other staff there were very supportive of the idea, and it has been approved. I will now have the benefit of having a team of student engineers mulling over the technical challenges of creating a closed fog control system- all simply to be able to create a cool foggy cemetery scene for my “Night of the Living Dead” machine design. Along with this additional validation, I now have several expressions of interest, and a few tentative orders. I would urge those of you on the fence about this to consider the advantage of being “first”- in terms of getting your machine before everyone else, and paying the minimal amount for the early models. As a reminder, pricing can be seen here, and available donor machines are listed and described here. Thinks are looking up- so I need to get back to designing and building. So my first experience “manning a booth” is over- it was exciting, rewarding, and exhausting. I came home from Providence’s Foo Fest/Makers Faire late on Saturday night, and Sunday was a day of foggy memories, sore muscles, and slow, zombie-like movements. Standing all day, talking to potential clients continuously, and lifting and moving my machine and all my display materials had taken a toll on my mind, body, and soul. Thank you so much to everyone who stopped by to see my work and to reminisce about the old arcades and the early days of the E-street Band. I could have sold several “Bruce” machines if I had them or was willing to sell my prototype. Several guys lingered and studied my price sheets to see how they could afford to have me make them a new/old machine. If any of you are reading this- please give me a call- we can make that a reality! Several small groups of guys and gals huddled near the booth just to hear the endless string of songs from the machine in its “jukebox” mode. If nothing else, I proved to myself that there is an audience for my work- and the positive feedback and words of encouragement and praise made it all worthwhile. I had no expectations of getting any strong leads from my booth at this festival- after all, the demographics for Foo Fest tend towards the younger, “fringier” crowd. I considered this a practice show- I am really aiming to show more at arts festivals where I am more likely to find more clients from my era that would appreciate my work- but I was very pleased with the feedback here- the younger attendees especially were very complimentary- and interested in what these old machines were like- many having never seen or played anything but video games. For example- I got sincere compliments from a 20-something DJ, who appreciated the art work and attention to the artist in the design. I heard words of appreciation from a young local female radio personality. I was asked if I would be interested in displaying a machine in the Providence Museum of Art and Science (if the curator’s dream ever becomes a reality). Finally, a writer for a prominent Rhode Island monthly publication indicated that she wanted to write a story about my work. Even if nothing comes from any of this, I believe these are signs that I may be onto something. Thank you to anyone and everyone who offered kind and encouraging words.